48.75"w x 48.75"h x 1.5"t oils on board. 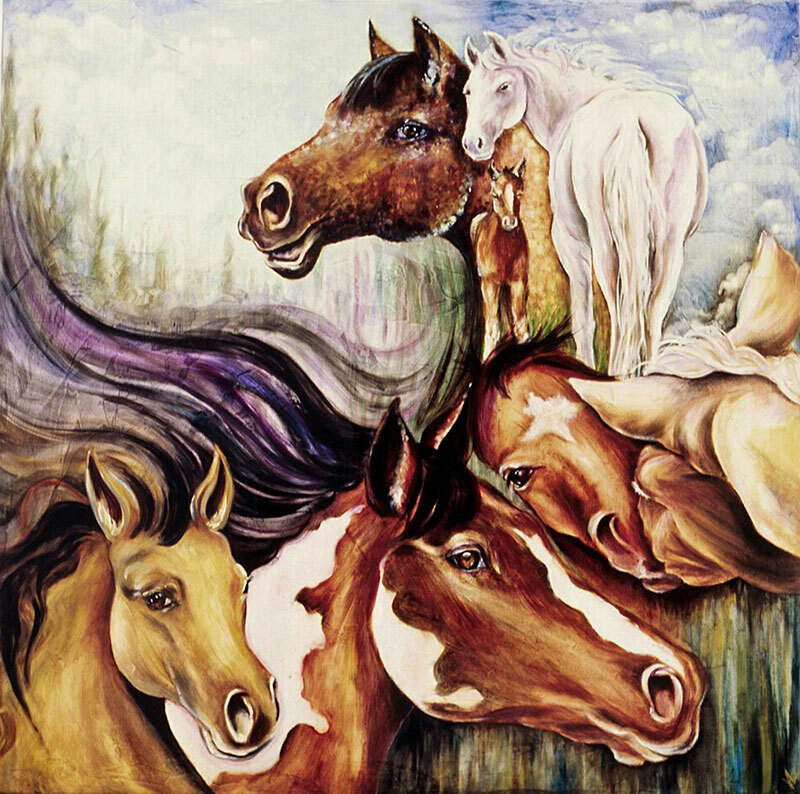 Painting utilizing rub-out oil technique illustrating seven equine spirits in a fantasy collage. Seven Horse Spirits K404, a self framed 48.75"w x 48.75"h x 1.5"t oil painting on textured board with Damar varnish, which is glossy and gives a warm amber glow to the colors underneath. It is an oil painting done using a technique called rub-out oils with additional color brush strokes added afterwards. I have a deep love for all subject equine, and have always loved the art of collage. This is an embodiment of a free spirit that horses are, I have always enjoyed. Seven horse spirits joined in likeness and difference.